- GRP doors are ideally suited to clean room areas and have been installed in facilities worldwide. 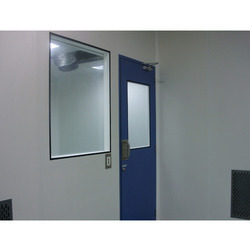 - These hinged GRP doors are designed for non-fire rated areas. - Seamless moulded construction – no ledges, voids or troublesome edge lippings. - Closed cell non-organic core – will not harbour bacteria or moisture. 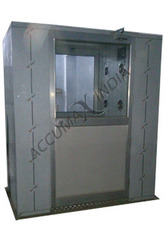 Our vast practice in this field has enabled us to offer Bio Safety Hood. Our products areextremely known in the market for durability and longer life.